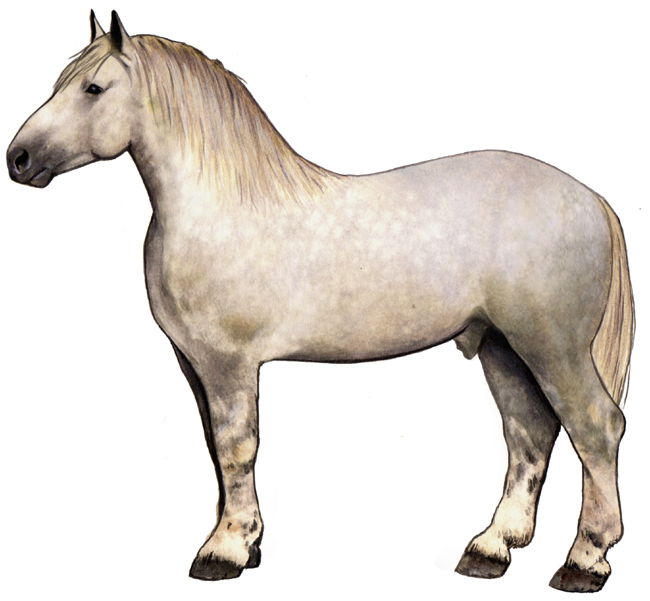 The typical old-style Percheron (Percheron postier) was a grey harness horse which was from 15.2 to 16 hands high, and was famous for his very useful ability to trot fast and long, with a heavy load behind him. The breed's history is obscure and difficult to trace. It has been generally accepted that the Cayuse Indian Pony descended from the French-Norman horses imported into Canada in the 1600s. Most of these French horses were Percherons, which the Canadians used to improve their domestic breeds. The Percheron was a good choice -- it continues to be one of the only work horses which can easily trot for extended periods of time.